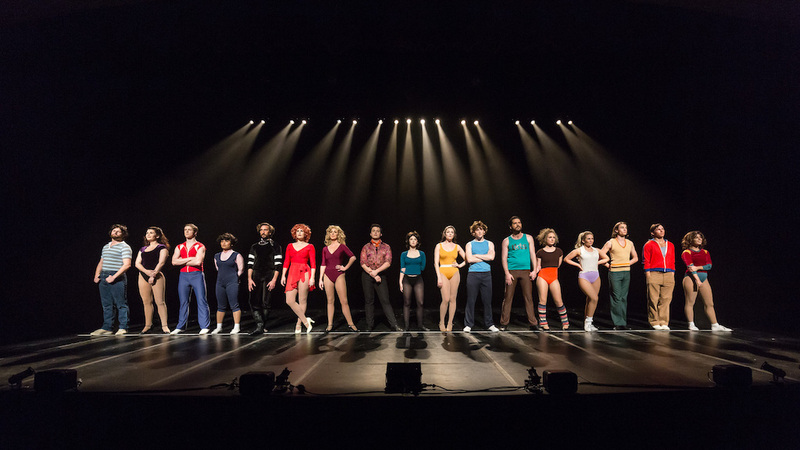 CLOC Musical Theatre revives seminal Broadway classic A Chorus Line in a production that neatly balances a fresh interpretation with respectfully traditional elements. Based on the experiences of actual Broadway dancers, the well-known scenario needs little introduction. Broadway has well and truly bounced back from its mid-1970s death knell, and although musical theatre may not be part of popular culture in the way it was in the time up to the Golden Age, Broadway is thriving today, with tickets prices rising exponentially. If the experience of dancers lamenting and fearing the end of their art form is not immediately relevant today, the shared experience of growing up in uncertain times most certainly is. Richard Perdriau’s expert direction keeps an unflinching lens on the raw, exposed discomfort of the dancers as Director Zach peels away their layers of artifice and defense. 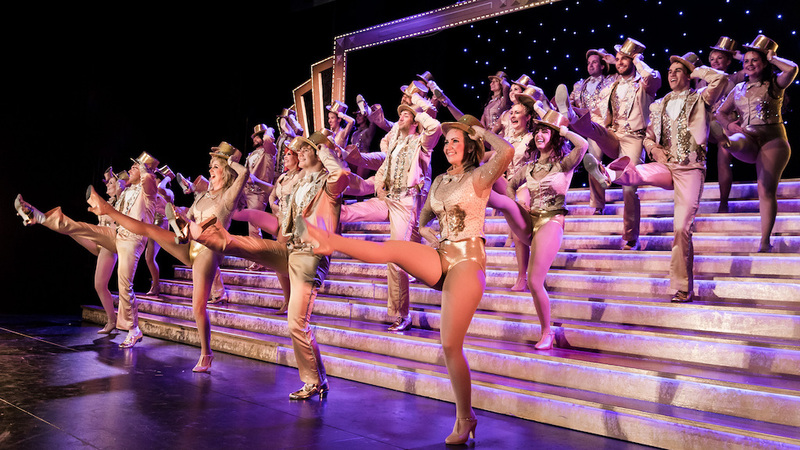 When CLOC last presented A Chorus Line back in 1998 (at their old home, Alexander Theatre, Clayton) the cast seemed well populated with performers who were experienced in lead roles. This time, it seems very appropriate that the two most experienced performers, particularly in terms of CLOC shows, are the actresses playing Sheila and Cassie. The bulk of the cast members are relative newcomers, attracted by the iconic show and its revered characters. Perdriau introduces some new action into the show. Much in the way that the modern HBO-style television drama will cut away to flashbacks that inform the present, Perdriau adds upstage scenes, muted into soft focus by a scrim or gauzy curtains. 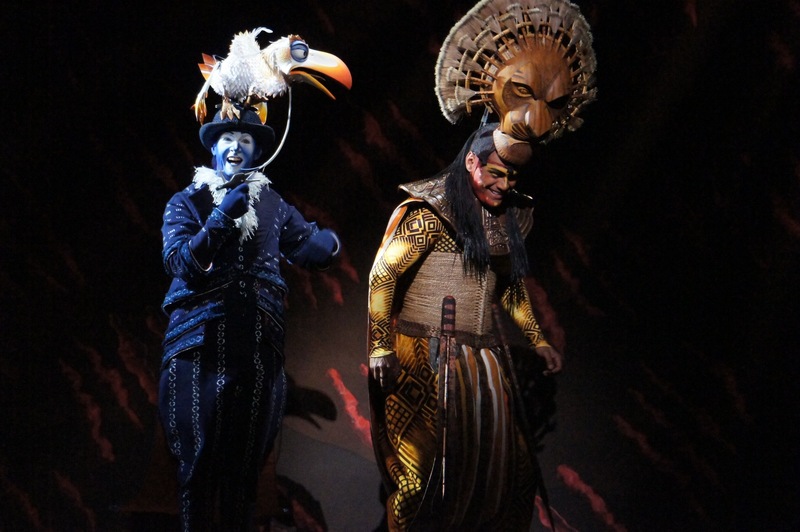 These scenes not only enhance the text, but also make excellent use of the additional performers in the cast who are cut from the audition after the opening sequence. During “At The Ballet,” actual ballet is seen, and this progresses into ballet class which Shelia, Bebe and Maggie join as they continue singing. During Diana’s big number “Nothing,” her acting class is seen, and her actions mirror the recollected Mr Carp as he tells her she will never be an actress. In “The Music and The Mirror,” Cassie dances with four anonymous men, expanding her recollections from her time with Zach to a procession of lovers on both coasts. Perdriau also contributes the set design, and has worked closely with costume designer Victoria Horne to create an authentic 1970s aesthetic. The coloured stripes on the mirrors will take audience members of a certain age straight back to the ‘70s. The mirrors have a life of their own, choreographed by Perdriau and moved with precision by the ever-reliable CLOC crew. Horne’s dancewear designs make clever use of colour to distinguish each dancer. A number of brief leotards add to the exposed feeling needed for the scenario. David Wisken also contributes several tousled wigs that add to the ‘70s vibe. The settings for the climax are wonderfully lavish, and combine with Horne’s eye-popping gold outfits to create a truly spectacular finale. Adding significantly to the visual picture is the excellent work of lighting designer Jason Lord. Besides the mind boggling job of picking out 17 individual performers in pinpoint spots, one of Lord’s key achievements here is the simple beams of light streaming down from he darkness behind the line of auditionees. Working with an extremely talented cast, David Harford has crafted choreography that includes all the expected moments that are built into the music while adding a vibrant sense of energy that transfers directly across to the audience. 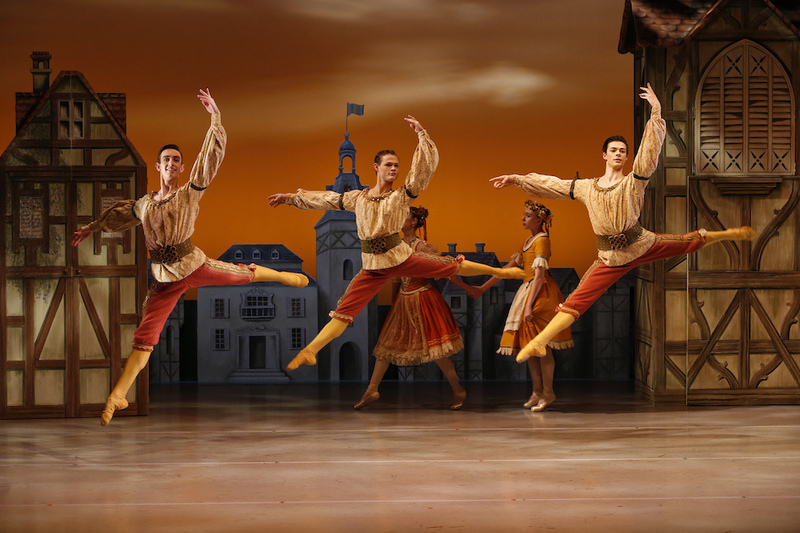 The choreography is tight and well disciplined, while retaining a characterful edge. The additional blessing of the present day triple threat performers is that they can sing the score superbly. Music director Daniel Heskett presides over a band of 16 musicians to deliver a festive, upbeat performance of the almost constant music. Instrumental and vocal music are expertly balanced by sound designer Marcello Lo Ricco, who achieves particular success in highlighting lead singers over the chorus. It is very difficult to mention highlights from individual performers given the extremely high level of talent throughout the cast. As previously mentioned, two dancers have a high profile at CLOC. 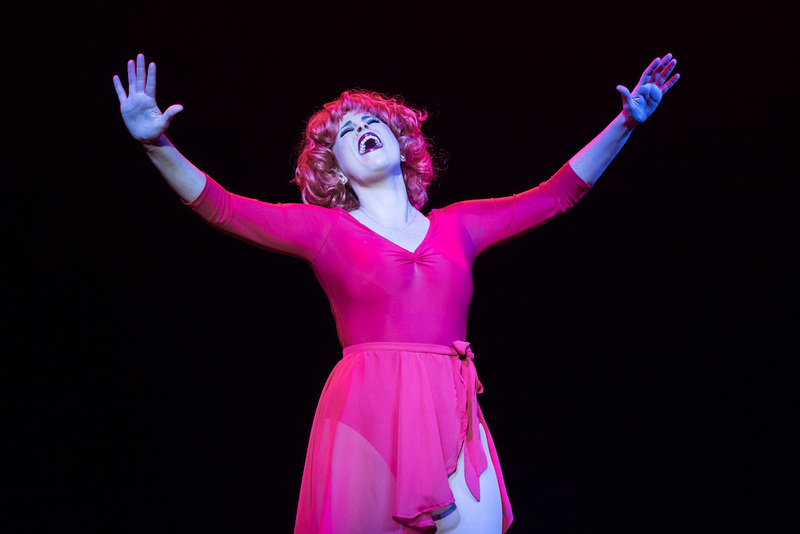 Playing a 30-year-old means that Tailem Tynan must surely have been thirteen years old when I danced with her in CLOC’s Anything Goes in 2000 (and this was not even the first of her 16 CLOC shows). 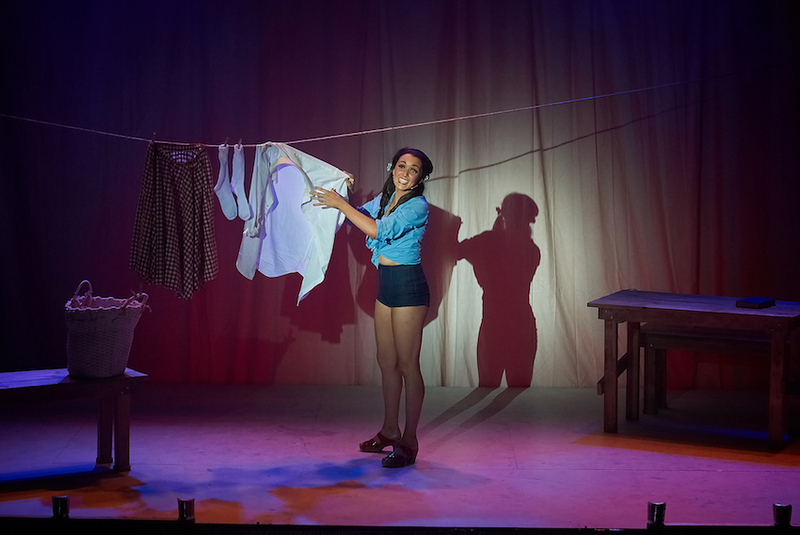 Tynan is a delightfully droll Sheila, balancing the character’s world-weary humour with her hard-won dignity. How many actresses on the world stage can go from Madame Thénardier to Cassie in the same year? Melanie Ott is in superb form as Cassie, capturing the aching vulnerability of a successful woman who has to start again. Ott belts out “The Music and The Mirror” to thrilling effect. Shaun Kingma, another CLOC veteran, is very well cast as director Zach. Kingma’s voice carries rich expression that conveys every possible emotion while he is, for the main part, heard but not seen. Also progressing on from CLOC’s May 2017 Les Misérables, Emily Morris is sunny and sassy as Val, and India Morris demonstrates exceptional dance technique as plucky Bebe. Of the CLOC newcomers, standouts include, but are certainly not limited to: Kiane O’Farrell, who is strong in “Nothing” but really shines in Diana’s gentle rendition of “What I Did For Love”; athletic Dylan Henry, who dances assistant choreographer Larry with sharp precision; nimble Mitchell Chapman, who raises the energy early in the show with a terrific performance of Mike’s “I Can Do That”; Shaun Pirovano, who draws in the audience with a nicely understated performance of Paul’s big act two monologue; and Abbey Hansson, playing Maggie, whose amazing voice and terrific dance skills make her one to watch out for in future productions. 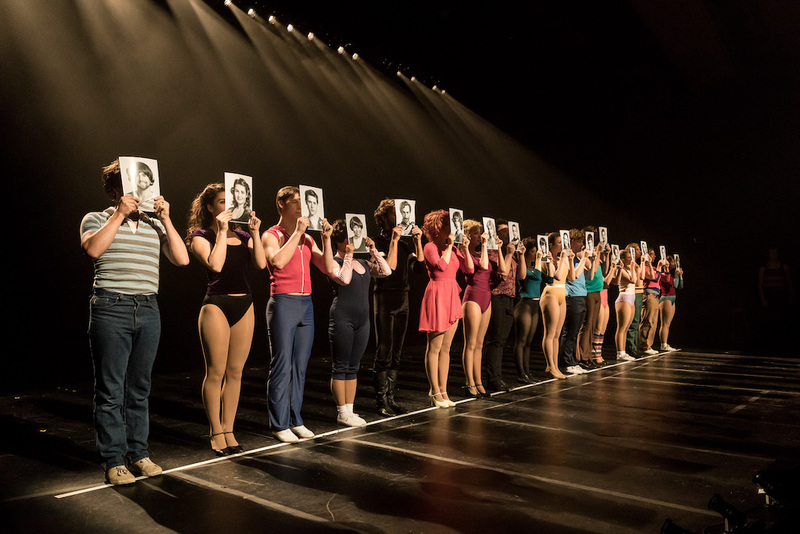 A Chorus Line plays at National Theatre, Melbourne until 28 October 2017. Footnote: having repeated two shows this year (and another revival on its way in 2018), I’d like to chance this opportunity to encourage CLOC to trust its faithful audience and take a gamble on some new shows. 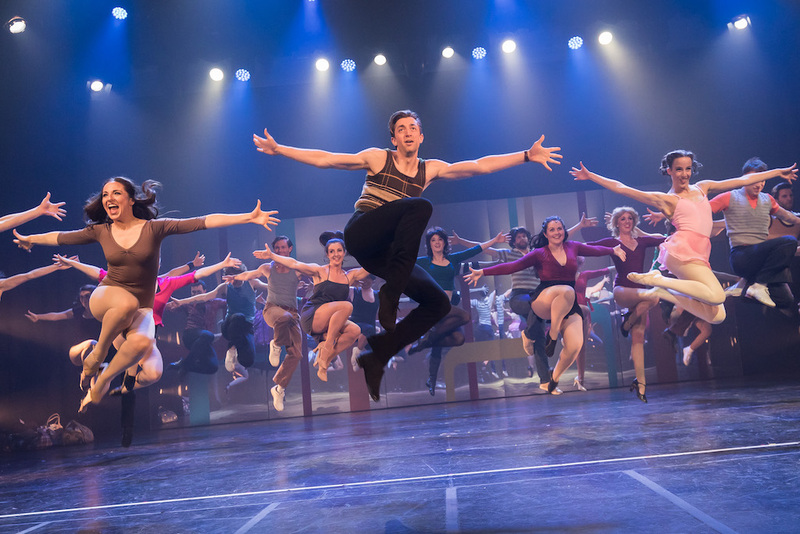 A number of recent Broadway musicals come directly to mind, including: Nice Work If You Can Get It, Bullets Over Broadway, An American in Paris, The Light in The Piazza, Finding Neverland, A Gentleman’s Guide to Love and Murder, Newsies. Why not venture where commercial producers are scared to tread?